Complete PMI Talent Triangle Requirements – Save $100! 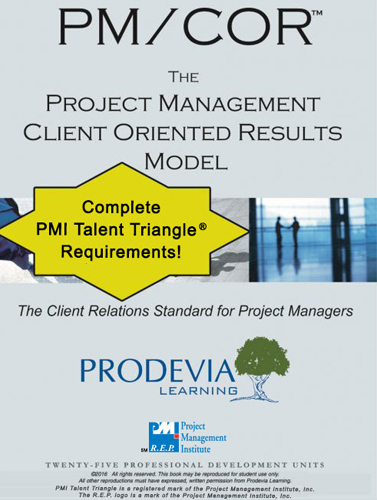 Complete your PMI Talent Triangle Requirements through one convenient course for only $89! FREE COURSE INCLUDED-add any 10 PDU course for FREE through April 30, 2019. Earn 20 PDUs for only $59 through April 30, 2019. Bundle any two 15 PDU courses and earn 30 PDUs for only $139 through April 30, 2019. Save $100 on PMP 60 PDU Renewal Bundles – Starting at only $169! Save $100 on PMP® Renewal Course Bundle 3 through April 30, 2019. Earn 30 PDUs for $170, Regularly $245. Save $75 through April 30, 2019! Earn 25 PDUs for $175, Regularly $225. Save $50 through April 30, 2019! Earn 20 PDUs for $149, Regularly $179. Save $30 through April 30, 2019! Earn 25 PDUs for $89, Regularly $189. Save $100 through April 30, 2019! 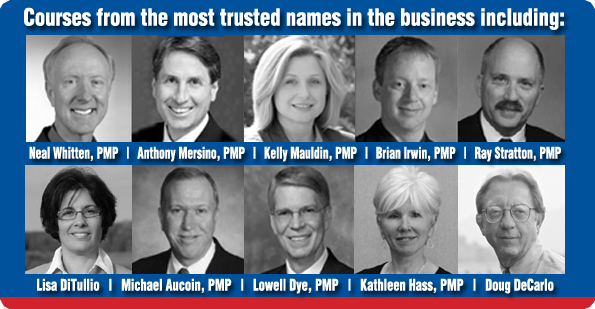 Since 2003, Prodevia Learning has provided PMI PMP PDUs through a distance learning alternative to the most meaningful and popular project management training without the time and costs associated with attending expensive conferences, seminars and on-site training. Our instructor-supported distance learning courses are developed by recognized industry experts who are regularly featured at the most prominent project management seminars and conferences worldwide. We provide access to a personal instructor, an unlimited amount of time to complete a course and the option to include complete printed course material. Plus, you set your own learning schedule to provide you complete flexibility and control over your professional development investment. These unique PDU courses are available exclusively from Prodevia Learning. Learn how we provide better training that’s effective and affordable. The Prodevia Learning Training Method. Fulfill your professional recertification requirements from PMI® and/or IIBA® at the same time you earn credit toward your Professional Project Executive (PPE) Certificate. 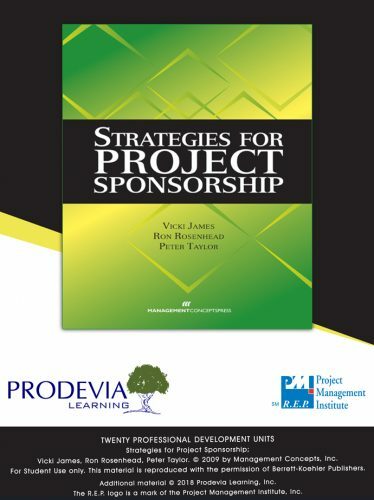 In addition to providing PMI PMP PDUs, Every Prodevia Learning course brings you one step closer to being recognized as a Professional Project Executive. Be a better project manager, starting today! Visit our Course Catalog. 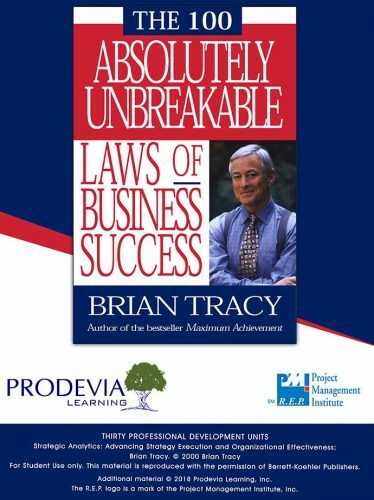 Prodevia Learning’s courses will make a difference in your career. The Requirements Database, Requirements Definition, and Requirements Matrix are effective tools to track the activities through the completion of the project. This was a great course on the leadership skills necessary to manage a project. It was filled with good practical advice. This was a strong treatment of an often overlooked and misunderstood topic. 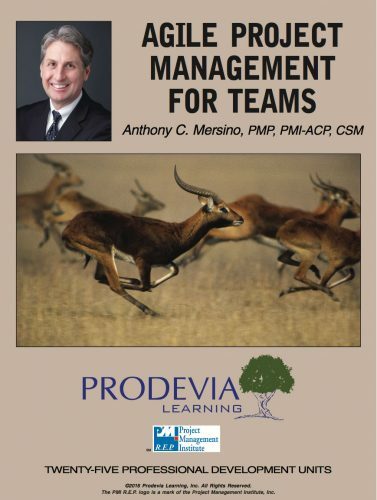 I work on a lot of team based projects, many of which share the challenges described in the course. This course represented my work environment very closely. This is not theory based like most courses – it leverages real life, practical experiences that we can all relate to as Project Managers.